Join us for the first ever Renaissance Latin Dance Night! Whether you're a salsa expert or only know salsa when there's chips involved, instructors from ETown Salsa will be on site to make sure you have a great time and learn a new step or two. 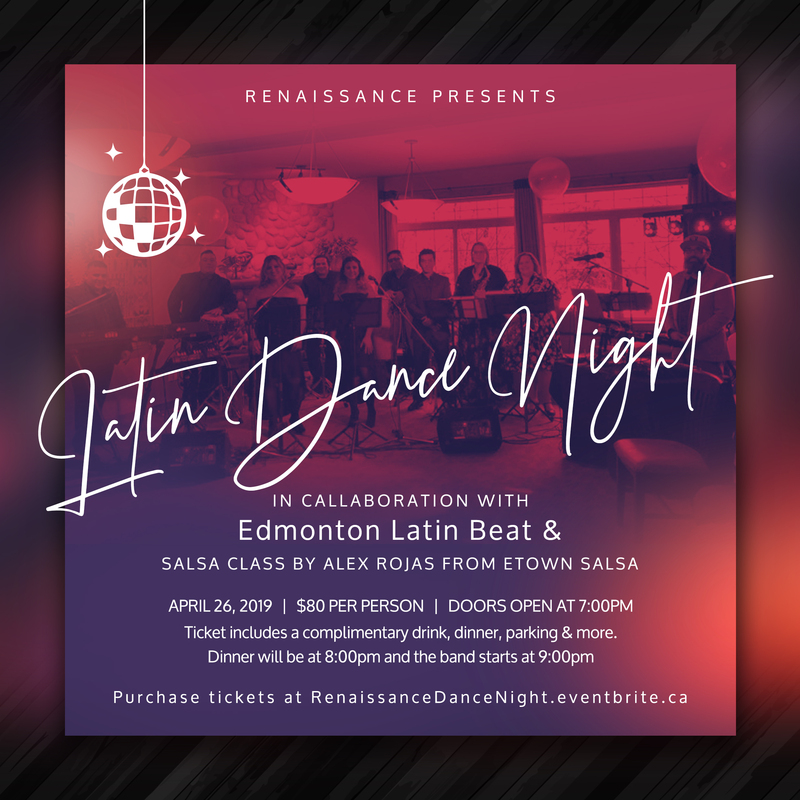 Dance the night away with a full 10 piece live band and a DJ from Edmonton Latin Beat. Your ticket includes a cocktail reception style dinner planned by award winning Executive Chef Andrew Ihasz, a complimentary drink, parking, and the option to book a discounted room at the Renaissance Edmonton Airport hotel.